Valentines Day in Bothell is going to be great! It’s fast approaching (February 14th! )….less than a month away. I was told by my dad once that a couple small acts of romance can go a long way, no need for anything huge or dramatic… My dad was not a real romantic, but he could turn on the romance at the drop of the hat. 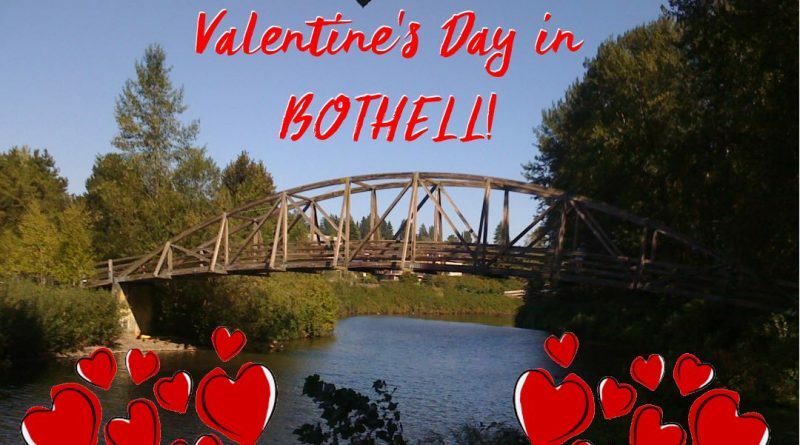 This Valentines day don’t worry about spending tons of money, build that romantic bank account up with some little acts of romance right here in Bothell. Remember, when you deposit into that romance bank, the withdrawals are a lot of fun! During the day, send some flowers from Bothell Florist. Walking through Main St before or after dinner. Heck, swing into Hop and the Hound for a brewski. Drop the kiddo’s off at Elevated Sportz, so you can get some 1:1 time. They close at 9pm. Live music, multi-course dinner.. and overall good times at The Cottage. Walking through Country Village after dinner at Vivendo (last chance and you better make ressies soon). 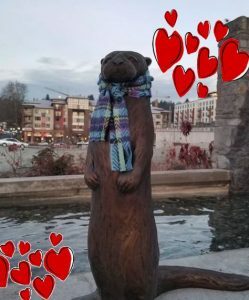 Book your lova a massage at Amai Day Spa in Country Village or the new massage place Relaxing Station on Main St.
A walk or a ride on the slough. Bundle up. Might want to grab a coffee at The Den Coffee Shop first. Check out a special 5 course meal at 20 Corners Brewing company…. I will add other Valentine’s Day events as they come up. Check back for updates!